Join LoriAnne in making this Scrappy Christmas Tree Throw! It is a great scrap buster, or choose to purchase a pre-cut kit for a quick-sew project. 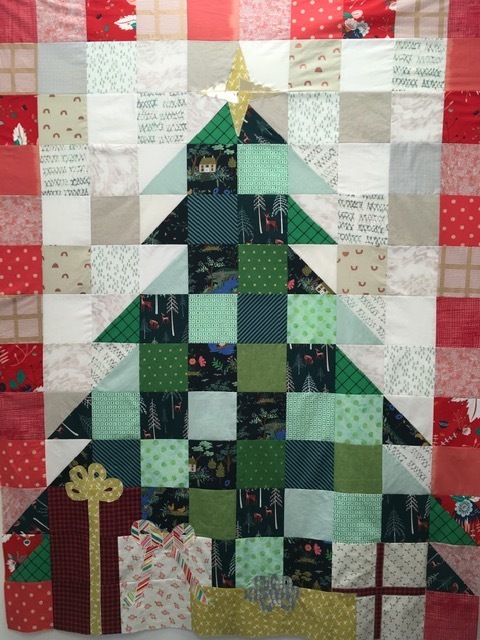 Materials required: about 4 yards of fabric to complete quilt top; several low volume neutrals for background blocks, several greens for the tree blocks, and reds for the edge blocks, various fabrics for gifts, star and ribbons; OR one pre-cut kit from Bumbletees - $85 if purchased with the class. Includes all fabrics required to complete quilt top. Call the shop if you would like a kit, as there are only two kits left.